Sofia Richie Reportedly Hurt BF Scott Disick Almost Never Shows Her Off On Social Media! Rumor has it that Sofia Richie would really love if her man Scott Disick showed off their relationship on social media more. Apparently, despite using Instagram a lot, Scott barely ever shares any pics of, or with his girlfriend and that’s upsetting for the model. The last time the man posted a snap with her was way back in June and even then, it was not a selfie or anything like that but a repost of a paparazzi pic featuring the two of them leaving Malibu’s Nobu. Now, one source tells HollywoodLife that Sofia is hurt he refuses to show her public love. ‘Sofia is super confident in her relationship with Scott, but sometimes she gets really sad when he doesn’t share more photos of them together on his social media accounts,’ the insider claims. Scott really does post a lot of photos of his three kids with Kourtney Kardashian and it’s super cute, but Sofia would love if she got at least a little bit of that attention from him on social media. It would let her know that he is proud of being her man. ‘Although Scott has occasionally posted a few pics of them together on his Instagram stories, he has not posted a permanent pic on his page in months which makes Sofia wonder why he’s not as excited about their relationship as she is. 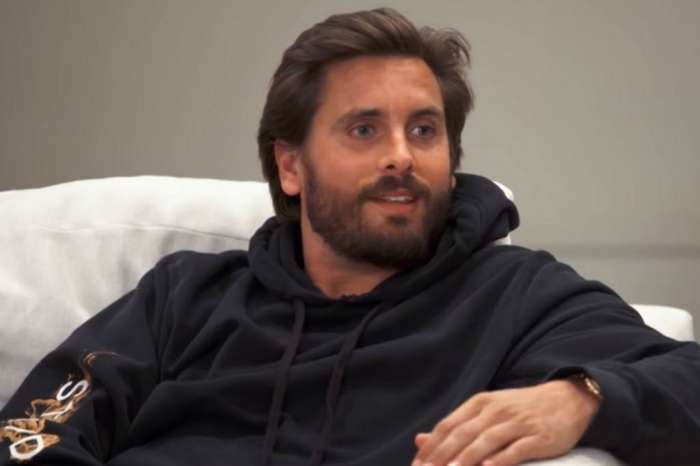 Sofia cannot help but think he does not want to make Kourtney jealous, but she does not really care and hopes he too steps up his social media game big time, ASAP,’ the insider went on to explain.